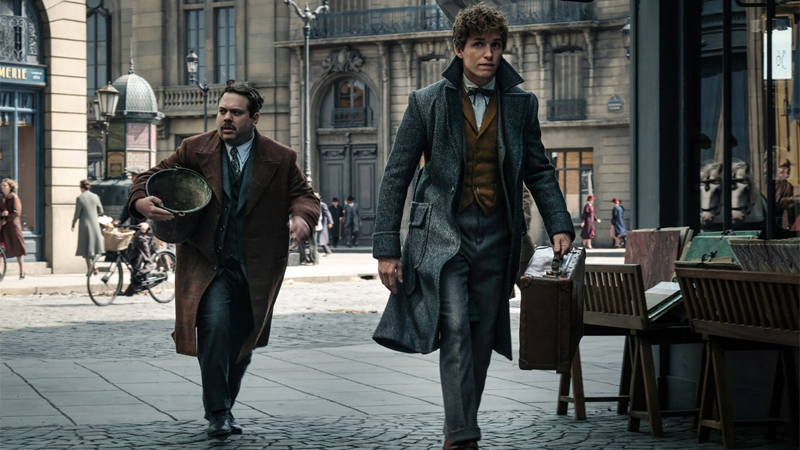 The first Fantastic Beasts introduced us to the American wizarding world’s answer to “muggle” in the form of the ludicrous “no-maj,” a term that just makes it seems like America’s wizarding society was a little weird. But with the sequel The Crimes of Grindelwald heading to France, it turns out our magical linguistic world has been turned upside down. In one way, it makes sense, because this is a sequel to Fantastic Beasts and Where to Find Them, so bringing similar terminology over for the sequel, even if i’ts set in a new location, is understandable. But when you step back and think about the wider Harry Potter franchise, it just has you asking more and more batshit questions. How standardized is “no-maj” and its translations across the international wizarding community? Is the United Kingdom the only place that uses “Muggle?” If so, why? Rowling previously informed fans that UK wizards and witches immigrated to North America so they, presumably, would have used the original term there at first. Was there a big wizarding argument where everyone mocked each other’s languages, especially the Americans, because they forgot how to use the letter “u” and call biscuits “cookies” and all that nonsense? Who decided which country used “no-maj” and which ones came up with something on their own? Why wouldn’t a country so close geographically to the UK not use Muggle but instead use one closer related to the term used on an entirely different continent? Who thought of muggle in the first place!? This may be the most intriguing mystery of modern Potter times. Who knew magical linguistics could be this bonkers? Fantastic Beasts: The Crimes of Grindelwald will be available all us non-magiques when it hits theaters November 16. Please feel free to give us your better made-up words for Muggle translations in the comments.